The sounds of buzzing in your backyard are often the soundtrack to your Spring or Summer, but what kind of bees are flying around your area? There are so many bees who probably fly through your yard but what are some things to know about Africanized bees? We are here to give you facts about Africanized bees to help you have a better understanding of this variation of bees and help you prevent an incident in your home or being stung by them. Not all bees are alike, as some are more aggressive than others and don’t produce edible honey. But they all will attack if provoked, so it is essential to know the type of bees you are dealing with in your home. Cultivating plants and insects is not a rarity, and Africanized bees are the crossbreed of the Western honey bees and African bees. They were created in the laboratory in Brazil to produce more honey, but they ended up not producing more and were more aggressive than the parent bees. Some rebel bees managed to escape the apiary and eventually migrated to Northern regions, which is how we have them today. They don’t have the nickname of “Killer Bees” for nothing, as they are more aggressive with their stinging. One of the crucial facts about Africanized bees is to know they attack in more significant numbers than other variations of bees. 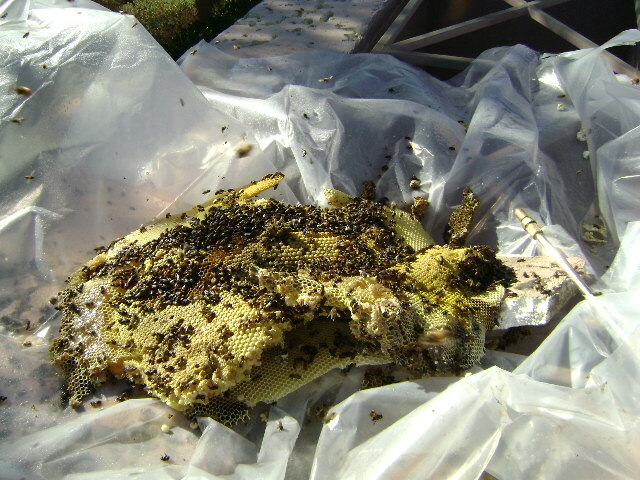 Victims tend to receive ten times the sting of a European strain of bees. They are also known to chase someone for a quarter mile. The first sighting of Africanized bees in the United States was in the 1990’s, meaning they have not been here for very long. They reached South Texas in the year 1990 and trickled into Arizona and California a couple of years afterward. They formed their colonies in the southern parts of the United States. You won’t find Africanized bees in the standard places bees make their hives in, as they like to use one-of-a-kind places to create their colonies. These unique places is a reason why they are more dangerous than other bees. They will make a habitat in tires, boxes, empty cars, and in your home’s infrastructure. They are known for small colonies, but they can still make a massive dent in your home. We do not recommend taking on a hive of Africanized bees by yourself. Bee Masters of Las Vegas will professionally remove the bees without harming them and do any necessary repairs to your infrastructure. Contact us today to see how we can help you today!